Season 6 of Younger from writer-producer Darren Star will premiere on Stan, same day as the US on June 13. 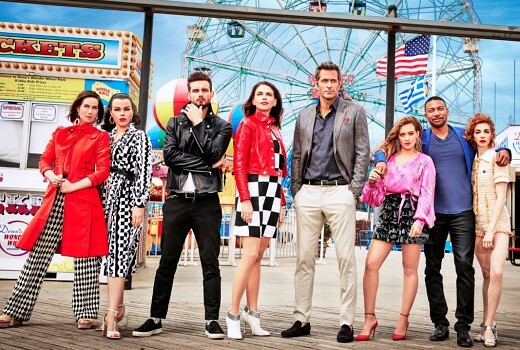 Returning cast include Sutton Foster, Hilary Duff, Debi Mazar, Miriam Shor , Nico Tortorella, Peter Hermann, Molly Bernard and Charles Michael Davis. The series follows Liza, played by Sutton Foster, a talented editor navigating the highly competitive world of publishing — while juggling the complications of mixing business with pleasure and facing the lie she created about her age to land her dream job. Guest stars Tony® winner Laura Benanti, Phoebe Dynevor, Michael Urie and recurring cast member Chris Tardio make their returns, and Nicole Ari Parker (Empire) will play Maggie’s (Mazar) love interest in a multi-episode arc. Other notable guest stars this season include novelist and screenwriter Michael Cunningham (The Hours), novelist Meg Wolitzer (The Wife) and actresses Becky Ann Baker (Girls), Willa Fitzgerald (Dare Me) and Tony® winner Beth Leavel. Additionally, 2018 Critic’s Choice supporting actress nominee Miriam Shor, who plays Diana, is confirmed to direct an episode this season. This will be Shor’s second time directing the series. June 13 on Stan, with new episodes weekly, same day as the US.